1. Tommy Hilfiger launches Australian online store. 2. Coca Cola marks 80 years in Australia. 3. 57% of UK shoppers prefer un-manned checkouts. 4. US consumer confidence reaches 18 year high in September. 5. Michael Kors buys Versace fashion empire for $2.1billion. 6. Solomon Lew threatens another attack on Myer board. 7. Coles sells off WA retail assets as it prepares for de-merger. 8. Nike’s sales rise by 10% in quarter one. 9. Coles “Little Shop” collectables credited with 5% boost in sales. 10. Online sales boost H&M results. 11. Amazon opens new store in New York that only stocks 4 star + rated products. No trip to the South Melbourne Market is complete without copping an ... of the river, there is also a Queen Victoria Market and Bourke Street location). Nghia Trinh used to work at our market and his career has taken him elsewhere but a post he put on Facebook this week immediately connected us with market traders. He posted photos of nature overcoming adversity and thriving. We couldn't help but drawing parallels with our ability as market traders to find our niche, overcome adversity, make the most of limited resources and,in the end still bloom. Well maybe "bloom" isn't quite the right word given current trading conditions, but you get the meaning. It must be Monday morning.............. a time for reflection. 25/09/2018 19:38:20 Nature photo "Lovely photo...... keep them coming a light hearted look at global misery in retail !!!!!!" The Chairman of the QVM Board, Paul Guerra, also has a role as boss of the Royal Agricultural Society who run the Melbourne Show. And aware of the need for keeping up with the times, Guerra identified that the show needed to be “a bit more contemporary”. He looked at the data and saw that 18-35 year olds had been missing over recent years. He decided that good food and entertainment were the likely draw cards for that group and set about raising the bar. Local restaurants have been invited in to improve the food standard and according to an article on the ABC there is not a CWA scone or spiral potato on a stick to be found. Another innovation has been a cheaper entry ticket for those attending the show after work or university. The show still retains its connection with country and family’s but in Guerra’s words has become “a bit more funky”. The Hawker Night Market launched this week with most Specialty Merchandise participants describing it as a “work in progress”. As expected,some tweaking will be needed from organisers and the same from traders new to the night time experience. Night time trading is certainly different not only with the conditions but also the clientele. A few traders reported lighting issues which they will need to address before next Wednesday and a few will be tinkering with their product offer as they adjust to customer preferences. For a first time concept with many first time night traders, it was generally given a thumbs up. Hopefully the school holidays and perhaps some warmer weather will contribute to an even better assessment next week. 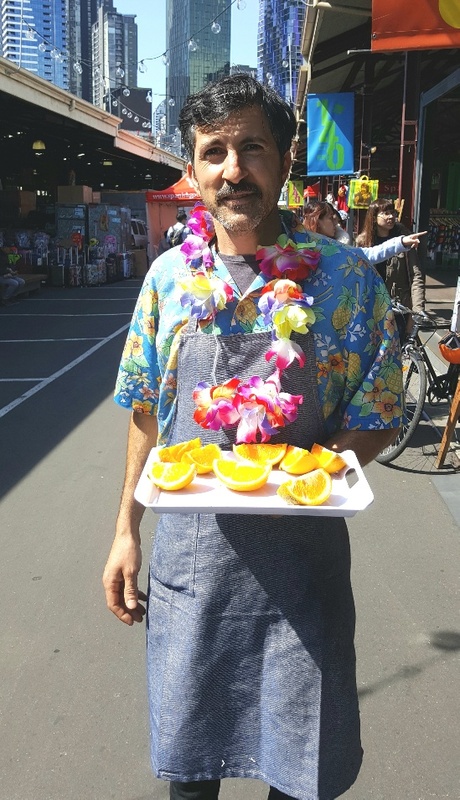 Breaking the monotony – on a particularly quiet day’s trading (Saturday) it took a little creative thinking from Trader Ronnie Z to launch his “Half time fruit break” for nearby traders. The delicious fresh fruit, the kind gesture, and the fun factor helped brighten up the day for traders. Good thinking Ronnie. Box Storage In M Shed – the plan to remove trader’s storage boxes from M Shed and free up the space for QVM storage needs has resulted in at least one email protest from a trader. One trader suggested that if the roller door space had been required for retail purposes that would have made more sense. Traders with larger than average stalls, high levels of stock, and multiple storage boxes may have issues with the move. Australian Actor at Night Market – Melbourne born actor David Lyons was a customer at the inaugural Hawker 88 Night Market. He is known for his roles as Josh Holiday in the Nine Network navy drama Sea Patrol, Dr. Simon Brenner in the NBC medical drama ER, General Sebastian Monroe in the NBC post-apocalyptic drama Revolution, and most recently as Mike Diangelo in the Netflix series Seven Seconds. 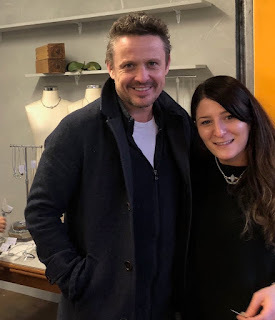 Our photo shows David with Emine from Aminalee Jewellery in String Bean Alley. Some traders greeted the news of the West Coast Eagles winning their way into the AFL Grand Final with great anticipation. Western Australian visitors have been good customers of our market in the past. However reports that airlines are inflating the airfares for the Perth/Melbourne trip may put a dampener on the visitor’s spending. Up to $2000 for a return flight has been reported. Romeo’s Café in F Shed is closed while it undergoes its own form of renewal. In the meantime the banter with Romeo and Theresa will be missed by many. No reports on the new Trader Engagement Centre or Trader Lounge on Victoria St. yet. Please comment in Have Your Say if you have attended. 1. One in three Australian customers only use card. 2. Amazon sets aside part of its website just for small and medium retailers. 3. Kathmandu reports record profits. 4. Restaurant, Soul Origin, reaches 100 stores in Australia. 5. Coca-Cola looks at cannabis-infused drinks. 6. One of Finland’s biggest department stores introduces gender neutral shopping. 7. China having huge impact on global wine industry. 8. David Jones partners with Sephora. 9. H&M global sales rose 9% in third quarter. 10. Premier Investments profit drops 20% on write-downs. 11. Fashion label Esprit confirms big loss. 12. Repco re-launches brand with motor sport flavour. 13. UK food giant, Tesco, launches cut price supermarket, Jacks. 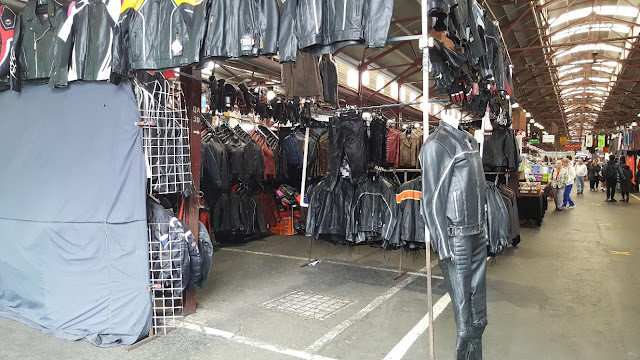 One of our Leather Jacket/Motorbike Wear stalls is up for sale. 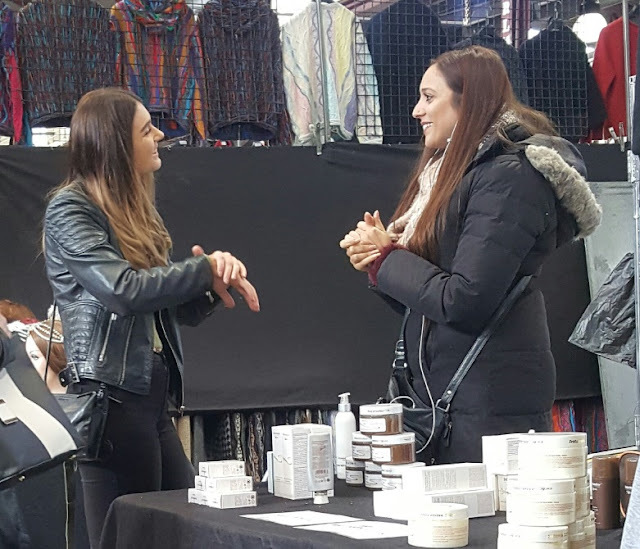 The stall trades 4 days and can be purchased with or without stock. It has traded for 29 years and has some prime locations including Sundays at Q30 which is a corner stall on the Queen St. Walkway and Rear L Shed. Stall locations are Sunday Q30, Tuesday J54, Friday L65, and Saturday K54. You can get further information from John on 0418399230. Mural idea could go further. The plan to feature 3 market traders in an interactive mural sounds great (see latest Trader Bulletin) One trader suggested that he had a few neighbours he’d like to see in bronze. We still haven’t worked out what he meant. A story doing the rounds says the reason the QVM sign on the market roof had a repaint was to make it more visible from Queen St. office buildings. We like the airline passenger reason better. A trader has found a way to put prices and a “Buy” button on all his Facebook and Instagram posts. His theory is to make it as easy as possible for buyers. Makes a lot of sense and probably identifies the future of social media advertising. We'll try and find out how he went. 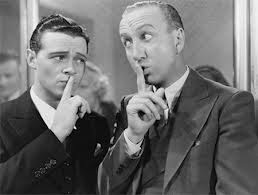 Memorable PA Announcements - After Collingwood’s AFL win last night a trader recalled the devilish act of one of our Market Officers back in 1990 after a Collingwood Grand Final win. This Market Officer commandeered the PA system and played the Collingwood theme song at full volume early on a Sunday morning much to the delight of a few Collingwood supporters and with howls of protest from the rest of the market. A few of our tourist customers learned a golden rule about Melbourne over the last few days. Never try to understand or predict our weather. Just bring your thongs and snow boots. A trader welcomes the new Trader Connect Lounge on Victoria St. which opens on Tuesday but wonders how traders will be able to attend during trading hours. He assumes only those businesses operated by partnerships or employing workers will be able to drop in. - help restore civic pride in our QVM asset. - the sign is visible from Queen and Peel Streets and the car park. - help attract publicity (which worked). Now that makes more sense than all our other opinions. Traders are normal people. Like everybody else we have hopes and expectations, challenges, feelings and failings. We experience good times, bad times and so on. But there is one thing that rules us more than most - the sale. A sale can make a big difference to our day. A sale can make us relieved if we have big bills to pay. A sale can make us feel simply wanted, particularly after long periods of no sales. 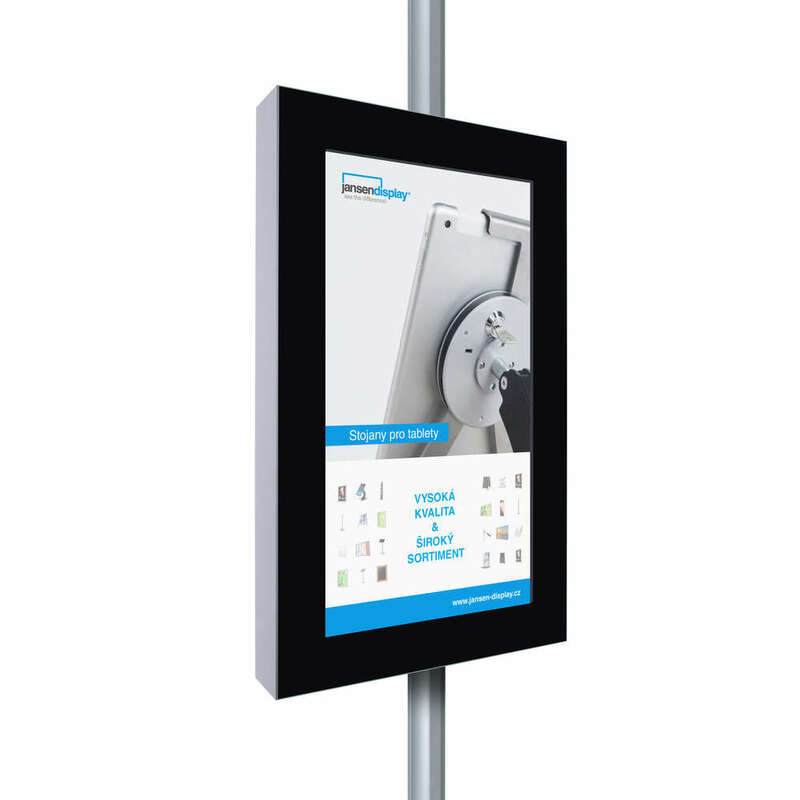 A sale can make us feel proud if we have engineered and marketed a product successfully. A sale can make us feel connected and often be the vehicle of a very satisfying social exchange. When you really connect with a customer it is great. When you are down a sale can lift you. When you are up a lost sale can have the opposite effect. When there is a big crowd of customers but sales are not happening it is very frustrating. 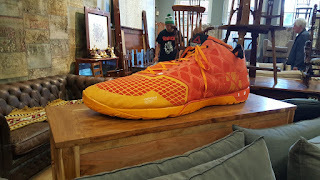 When the crowd is thin, and hopes are dim, a sale can surprise and lift your spirits. It is said that a good sales person is always positive and exuberant, but we are normal people and many of us wear our heart on our sleeves. We take it all personally and we ride a roller coaster of anticipation and reality. And maybe that is the drug. The unexpected is just around the corner, and experimentation can produce unforeseen results. There are many elements to being a market trader but few are more exciting or conversely frustrating than the sale. PLATTERS READY: Melbourne Is Getting A Five-Day CHEESE FESTIVAL! 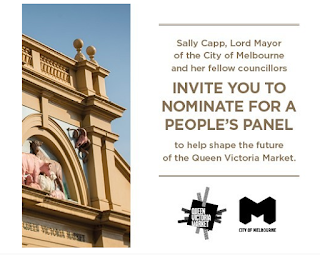 Queen Victoria Market are inviting all fans of the number one dairy product in the world for five days of music, wine, food trucks and cheese sampling. 1. Costco goes slightly ahead of Target and K-Mart on customer satisfaction. 2. French sports retailer, Decathlon, to open first US store. 3. Nestle loses case to protect Kit-Kat 4 fingers design. 4. China promises retaliation over US tariffs. 5. Myer suffers $486m loss. 7. Amazon Australia launches into Automotive and Pet Care categories. 8. Myers Chief Operating Officer departs. 9. Walmart’s Scan & Go stores claim 10 million users in China. 10. NZ Dairy giant, Fonterra, posts first ever loss. 12. Sumo Salad comes out of voluntary administration. 14. Myer reveals turnaround strategy including readily accessible staff and Myer brands. There are plenty of expert opinions about retailing and equally plenty of uncertainty about what the future holds. But one customer had an interesting view on where we are at. This started as a nautical discussion about a relatively unknown British warship called the "Warrior" which absolutely revolutionised the genre with iron cladding over its wooden hull, and rifle bored cannons but the new concept didn’t last long. 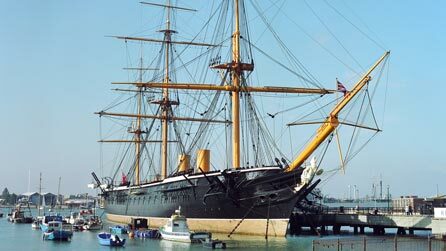 As revolutionary as it was, designers soon realised that they could build ships entirely of iron and they would still float. Iron cladding over wood was just an interim and all-iron ships became the long term solution. Our scholarly customer went on to talk about word processors taking over from typewriters but that didn’t last long because we realised that computers could do word processing and a whole lot more. His point was that a revolution will often involve rapid change and it takes time to sort through the options before settling on a long term solution. I talked to a few other customers about this type of change and asked one of them how Retailing fitted into this discussion. His response was immediate - he feels we are still very much in the middle of our revolution. He believes we will try and discard many things and some elements of what we see, particularly more customer convenience, are likely to be a large part of the final solution. But we are not there yet. Oh for a crystal ball! 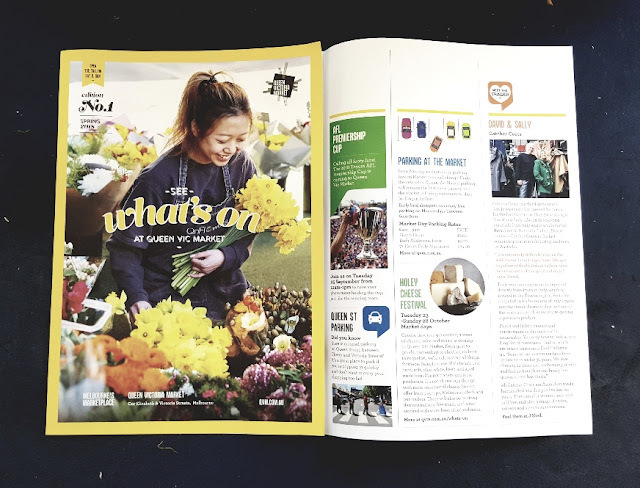 Social media is the new darling of marketers and the Queen Victoria Market is no exception but our market also has room for some old school forms of promotion in this case a letterbox drop to 150,000 nearby homes. This substantial 3 page double-sided newsletter contains heaps of news for customers including upcoming promotions, stories about traders, and general information. It is great to see more bases are being covered in promoting QVM. I know - this is a people’s panel not a trader’s panel. It will be populated by well-meaning but sometimes ill-informed groups with sometimes crazy ideas about how our market should be run and perhaps little idea of what is needed for profitable trading. It requires attendance at workshops that will be conducted on key trading days with traders expected to give up a day’s trading for a $100 attendance payment. There are many reasons why the People’s Panel is not attractive to traders. But there is at least one good reason why traders should attend. This is all about community involvement and convincing groups linked with QVM that we need rational options for improving our market - options that are focused on business, because viable business for traders is the only thing that will guarantee a future for QVM. Without traders in the discussion that will/may be difficult. If you are a business focused trader, and can possibly swing attendance at the workshops please apply (link below). If you are selected and you have operational difficulties attending the workshops (staffing, leave arrangements etc.) then the Management/Renewal Team ask you to raise those issues. They are keen to accommodate trader's needs. The closing date for applications has been extended to Sunday 16th September. Going online in some way is becoming a must-do for traders and it is easier to achieve than you might think. SBMS Business Mentors are running a Digital Marketing Workshop for Traders which will give you the basics to start the process. The workshop will launch on Tuesday 18th September at 3pm in the new Traders Lounge. 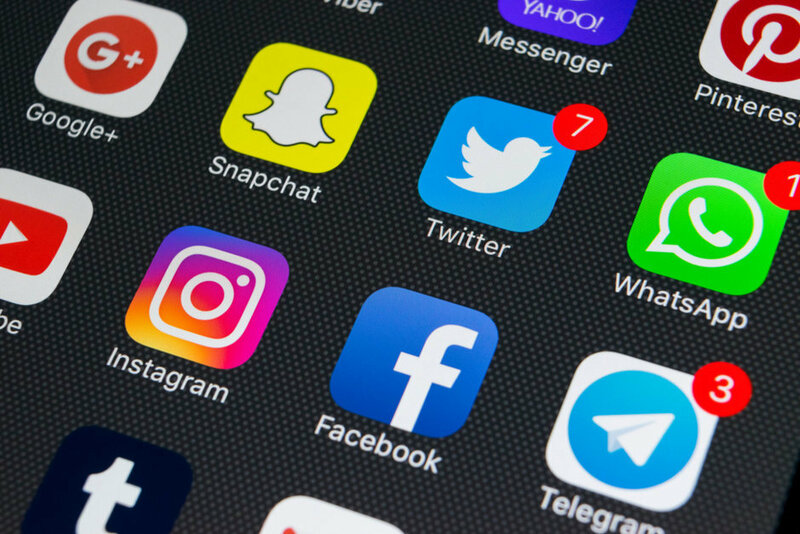 Click on the following link for details of the workshop and a very useful run-down on the most common forms of social media engagement , how they operate, and their positives and negatives. Vote For Your Favourite Trader has kicked off in earnest with a number of traders seeking votes on facilities like Facebook. But Ronnie from Ronnie Z And The Fabulous Juice had a different technique. He was handing out delicious morsels of fresh fruit and casually reminding recipients that trader voting was now open. Let us know your technique for getting votes. 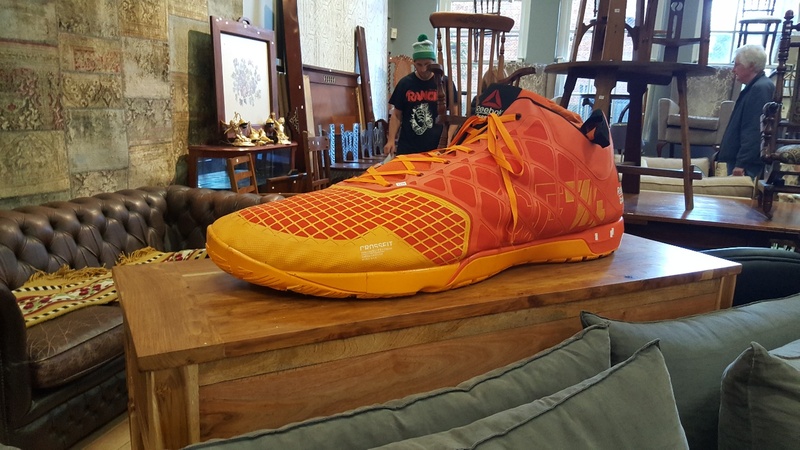 This giant sports shoe (it is sitting on a full size dining table) was sighted at Joel’s Auctions during the week and would have been a great feature display for one of our shoe sellers. It eventually sold for $380. Did a QVM Trader get it? Induction session for the new Hawker Night Market took place on Thursday evening in the Food Court. Great to see a growing number of our traders getting their opportunity at Night Market trading. Trader Uber Eats – a trader has asked why traders can’t have their own internal food delivery service. The idea is that perhaps the Son or Daughter of a Trader could collect and deliver food from surrounding food vendors to traders for a modest fee, part of which could be paid by the trader and part by the food shop. The Trader hastens to say that there are already some excellent food delivery services within the market (Ronnie Z and Josies Café were mentioned) but sometimes you just feel like something different. With many sole traders trapped at their stalls, this sounds like a good idea. Any budding young entrepreneurs out there? A Trader asks why we can't consolidate our trader positions and remove the glaring gaps in the Upper Market. He suggests there are ways of closing off areas with suitable camouflage and transferring traders into one vibrant full precinct. Maybe it is time. Many articles come across our desk each week and here are a few that sparked particular interest. You might have heard the term “doughnut” to describe the vacant stalls in the centre of sheds C-E. It has been suggested that we should try to fix the empty stall problem before we work on the outside of the market. But does that really make sense? Plans are currently being considered to upgrade the A Shed Laneway on one side of the Upper Market and String Bean Alley on the other. But the hole in the middle remains a problem. The question is whether we put the upgrades on hold while that problem is addressed. Trader, Jenny Pyke, mentioned the “doughnut” effect as a personal concern at a recent meeting of traders. That meeting was called to discuss the plan for 12 additional containers in String Bean Alley. Coincidentally the outspoken activist group, Friends of The Market, have apparently also used the term “doughnut” in their Facebook postings. They are arguing against the plans to finally activate SBA with more containers. 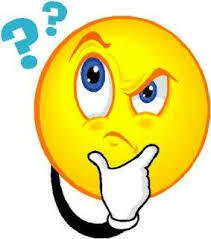 The argument seems to be that we shouldn’t engage in any new ventures while we are struggling with current issues. If you look at the wider retail industry, recent retail logic involves working through current issues as well as trying new things that might just resonate with demanding consumers. Some things will be hard to fix. Some will be easier. Some will capture the attention of consumers fairly quickly. Others will take longer. Rarely would it be advisable stop everything until one particular issue is fixed. String Bean Alley should have been done properly in the first place and now is a great opportunity to get it right and add something to our market. As we have said many times on these pages, while the rest of the retail world charges ahead with innovation, we need to show consumers that we can be relevant to their needs and willing to experiment and adjust with the times. We need to take opportunities. Both the A Shed Laneway and String Bean Alley have shown great potential for after-hours activation. They are high profile and consistent with Market expert David O’Neils proposal that we needed to make more of our market edges and enhance the connection with the rest of the city. South Melbourne Market has made a great success of activating its edges. Customers are obviously looking for after-hours activity and whilst the fragile nature of family businesses can make longer hours difficult for individual traders, the creation of precincts that can more easily accommodate alternative hours makes a lot of sense. Any Traders who can be a part of extended hours should give it serious thought. That is not an easy task and we need to get on with the job. Addressing issues like empty stalls must be a focus for all of us. But the path to achieving greater customer engagement has many threads including trying new things and pursuing those ideas that have shown even a glimpse of potential success. String Bean Alley and the A Shed Laneway have shown that potential and are worthy of effort. And just one more thing - tenancy in QVM shops currently stands at 100%. Clearly many traders are keen for more shop-like facilities to make the most of their trading opportunities. This is not an attempt to turn QVM into a container city. The completion of String Bean Alley is a modest attempt at addressing changing consumer preferences and making our market a more desirable destination for shopping. At the same time it will give interested traders a better way of presenting their offer. 1. Harvey Norman looks to overseas expansion as profit falls. 2. Myer axes 30 management roles. 3. Tiffany sales in Asia/Pacific rise 28%. 4. Arnott’s Biscuit brand up for sale. 5. Coca-Cola purchases UK coffee chain. 6. Luxury category predicted to grow twice as fast as general retail. 7. Retail Food Group post. $306m loss. 8. Woolworths and Coles dominate fresh bread market with more than 50% of total sales. 9. John Lewis cuts 270 jobs as it rebrands. 10. Woolworths experiments with checkout free shopping. 11. Sportsgirl enters beauty product market. 12. Shoe maker, Vans, opens more of its own stores. ... by the end of 2019, including Federation Square, Southbank, Southern Cross Station, State Library, Queen Victoria Market and Olympic Boulevard.